Assisted-Suicide Lobby Group does not get What it Wanted: The Montana Supreme Court Denies Constitutional Right to "Aid-in-Dying"
Baxter v. Montana: Assisted-Suicide Lobby Group does not get What it Wanted: The Montana Supreme Court Denies Constitutional Right to "Aid-in-Dying"
Today, the Supreme Court of Montana issued a split decision in which it denied victory to Compassion & Choices on its quest for a right to "aid in dying" based on the Montana State Constitution. "Aid in dying" is more commonly known as physician-assisted suicide. The Supreme Court instead focused on issues of statutory construction to determine that Montana state law has no public policy against "aid in dying" because the final death causing act lies in the patient's hands. This holding ignores the practical realities of ensuring patient safety from over-eager heirs, new "best friends" and others who might benefit from the patient's death. For example, physicians who malpractice and who want to hide their mistakes can now say: "It was what the patient wanted." 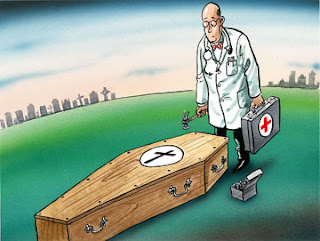 The evidence against the physician dies with the patient. If the patient has no family or other advocate, who will know? A bright spot in the decision is that it does not give physicians the "right" to prescribe a lethal dose, but only suggests that circumstances may exist to give them a defense to prosecution for homicide. The Euthanasia Prevention Coalition is hopeful that Montana's legislature will now take the lead to protect its citizens in the next legislative session. Will Bill C-384 ever go to a vote? Bill C-384, the bill that was introduced by the Bloc MP Francine Lalonde to legalize euthanasia and assisted suicide will have its vote delayed again, but this time it is due to a move by Prime Minister Harper. That means that Bill C-384 will receive its second hour of debate on March 12 or 15 (at the earliest) and be voted on March 17 or 24, depending on whether or not they take a March break (a break was scheduled on the previous parliamentary calendar between March 15 - 19). Bill C-384 received its first hour of debate on October 2, 2009 and was scheduled to receive its second hour of debate on Nov 16th and go to a vote on November 18, 2009. Lalonde has traded-backwards in the order of precedence 3 times to delay the second hour of debate and vote on her bill, probably because she knew it was going to be defeated. Since the Conservative government appears to be setting up an election in May or June, will Lalonde find a way to trade-back again in the order of precedence and prevent C-384 from ever being voted on. Fictional story stickers continue to mislead public. This new euthanasia campaign is: (1) being operated by two advertising specialists misleading the public concerning our actual law. (2) They are creating an emotional response to a very serious issue by using fictional stories. The Dignity in Death website misrepresents what the euthanasia and assisted suicide laws state in Canada. The website falsely states that voluntary euthanasia is already legal in Canada. This is not true. What they appear to mean is that refusing life-sustaining medical treatment is euthanasia. But this is not euthanasia. Voluntary euthanasia is when a competent person voluntary asks another person (usually a physician) to directly and intentionally cause their death. This is usually done by lethal injection. One of the promoters of this euthanasia campaign (under the title - Greywizard) accused me (in this blog) of trying to rewrite the english language. This person was insistent that he was right and I was wrong. The fact is that the Dignity in Death website that was developed by this person is wrong and irresponsibly misleading. Greywizard also attempted to discredit me by calling me religious. Instead of dealing with the arguement Greywizard preferred to discredit me by accusing me of being religious. But euthanasia and assisted suicide are not religious issues but rather public safety issues. Euthanasia is prosecuted under Section 222 of the Criminal Code (homicide) and Bill C-384, the bill that is being debated in parliament to legalize euthanasia and assisted suicide, would legalize euthanasia by amending section 222 of the criminal code. "We've both seen cases where passive euthanasia is the right thing to do." Just because two advertising specialists want to call witholding or withdrawing life-sustaining medical treatment euthanasia, doesn't mean that it is euthanasia. This is irresponsible because it is often necessary to withdraw life-sustaining treatment to allow natural death to occur. If good people who oppose euthanasia are falsely convinced that this action is euthanasia, they will refuse and create medical problems. The issue of euthanasia is very serious. When someone directly and intentionally causes the death of another person, (euthanasia) for any reason, the person dies. This is an irrevocable decision. To create false sympathy by using fictional stories is irresponsible. The ad campaign attempts to create a situation where people will believe that unless we legalize assisted suicide, people will suffer when they are dying. It is not necessary to give physicians the right to directly and intentionally cause the death of their patients in order to prevent suffering. What we need to do is improve access and the availability to excellent care in Canada. Advertising specialists need to maintain a level of ethics. The fact that these park bench stickers have fictional stories about a serious issue and they have website information that connects people to false and misleading information should be dealt with by advertising standards ethics. Alex Schadenberg, executive director of Canada's Euthanasia Prevention Coalition, agrees that the stories created by McKay and Manson "are very compelling" but calls their website "misleading and inaccurate. "No one wants to see people suffering in the way they describe," but the pair confuse euthanasia, the debate on whether doctors should be able to actually take a life, with being able to request that a doctor withhold treatment so the disease takes its course, Schadenberg says. In conclusion, it is interesting that the advertising specialists are now saying that they are promoting living wills. I guess a good technique of dealing with criticism is to change the issue. The advertising campaign doesn't actually promote living wills but rather it promotes euthanasia and assisted suicide. Let's hope society will reject these advertising specialists for there false representation of a very serious and socially contentious issue. This is a reprint from the Not Dead Yet Blog written by Stephen Drake. Drake is covering a significant topic because the Final Exit Network is trying to reframe who they are in order to survive the legal challenge they are facing. attempting to kill - their ill wives in the past couple weeks. One, in Tucson, Arizona, involves a middle-aged man who allegedly killed his wife, who has been struggling with Huntington's disease - a progressive neurological condition that affects the motor and cognitive abilities. A Tucson man who told police he killed his wife because she was terminally ill likely did so because he felt he could no longer care for her and had no other options, members of a local support group say. Sanford Garfinkel, 51, is in the Pima County Jail, booked on suspicion of first-degree murder in the death of 56-year-old Mary Garfinkel, his wife of 19 years. This isn't the first time the Arizona Daily Star has covered the issue of assisted suicide - and it isn't the first time they've featured the Final Exit Network either. Without a law allowing assisted suicide, groups such as Final Exit Network have stepped in to provide access to volunteers who give what they say is "guidance, education and support" to people who intend to take their own lives, said Robert Rivas, an attorney for the New Jersey-based nonprofit organization. "Final Exit Network would rather never do what they do," Rivas said. "If assisted-suicide laws were in existence in every state we'd be happy to completely be phased out." What assisted laws would those be, I wondered. As we've mentioned before here, the organization issued a press release in November 2008 that stated the assisted suicide laws in Oregon and Washington didn't go "far enough" and they would be assisting "suffering" people everywhere until there were more expansive laws. Yesterday, I did what I did in previous instances of this kind of misleading spin - went to the Final Exit Network website to access the press release issued in November 2008. It's not there anymore. The site has been revised and for whatever reason(use your imagination)it has been removed. Next, I went to The Internet Archive, which accesses the files on websites across the net and archives them. The site contains the files and material from websites that don't even exist any more. The site is that extensive and that good. The press release isn't there, either. In fact, there aren't any archives for the site for the whole year of 2008. That is very unusual - I won't even hazard a guess as to why there isn't a set of 2008 archives for the site. Luckily, though, I printed out several copies of the press release some months ago. In case there is any lingering confusion in anyone's mind, it is the clear statement by the Final Exit Network that the types of assisted suicide laws in Oregon and Washington State don't go "far enough" and that they'll keep facilitating suicides for people until the laws become expansive enough to satisfy them. Here is a link to a pdf document (scanned document). Washington becomes the second state to pass a "Death with Dignity Act", there is much more work to be done. Ted Goodwin, President of Final Exit Network, said, "We congratulate all those who worked so hard to achieve this important right for Washington's citizens, and we applaud the citizens of Washington State for making the right choice. "Final Exit Network and its members supported passage of this landmark initiative by donating to the advocacy effort spearheaded by Washington Death with Dignity and former Governor Booth Gardner. However, the job is not finished". Although, like Oregon's "Death with Dignity Act," I-1000 gives doctors the authority to prescribe a lethal dose of medications to terminally ill individuals under strict controls, it condemns to continued suffering as many as 40% of those who desperately want to end their life because of intolerable suffering but cannot under the law because their illness is not diagnosed as "terminal". Exit Network will be there to support those who need relief from their suffering today!" said. "With the Network's compassionate guidance and support, physically and emotionally competent adults in all fifty states are free to exercise their last human right - the right to a peaceful, dignified death. "Final Exit Network is the only organization in the United States that will support individuals who are not "terminally ill" - 6 months or less to live - to hasten their deaths. No other organization in the US makes this commitment," said Goodwin. information is available from (contact information omitted). If you're proud of what you've done and what you stand for, why do you have to hide documents like this and lie about what your real goals are? Physician-assisted suicide: A perspective from people with disabilities. The following article is the most important concern when discussing euthanasia and assisted suicide. Too often people discuss euthanasia and assisted suicide without considering the effect on people with disabilties. Another great source of information is the Not Dead Yet blog that is regularly updated by Stephen Drake with Diane Coleman. Published in a special issue of Disability and Health Journal www.disabilityandhealthjnl.com. Although public opinion in the United States on physician-assisted suicide is evenly divided, about half of states have either defeated bills to legalize assisted suicide or have passed laws explicitly banning it and only two states (Oregon and Washington) have legalized it. In this environment, A Disability Perspective on the Issue of Physician-Assisted Suicide, a special issue of Disability and Health Journal: The Official Journal of the American Association on Health and Disability, published by Elsevier, examines the issues related to assisted suicide and disability, the legal considerations and the Oregon and Washington experiences. Diane Coleman, JD, the attorney representing Not Dead Yet, one of the oldest and most constant opponents of assisted suicide, provides an overview of the fight against legalization of assisted suicide at the Supreme Court and the arguments and information used to oppose passage of laws legalizing assisted suicide. Gloria Krahn, PhD, the Director of the Disability and Health Team at the Centers for Disease Control and Prevention, provides a chronicle of the Disability Section of the American Public Health Association's debate on the issue of physician-assisted dying and her personal reflections on lessons learned. Writing in the Editorial, Professor Suzanne McDermott states, "Almost all people at the end of life can be included in the definition of 'disability.' Thus, the practice of assisted suicide results in death for people with disabilities. People with disabilities have been recognized as a health disparity group (included in Healthy People 2010); they experience substantial discrimination in society, and yet they can live extremely high-quality lives." "I encourage you to read this important issue of Disability and Health Journal with an open mind…" continues Professor McDermott, "There will be many states in the next decade that introduce or consider the introduction of laws to legalize assisted suicide. The issues are complex and the evidence is not robust…We know there is another side to the debate, and this volume does not present the proponents' arguments, which have been presented in other journals. We thought it necessary to focus on the unique perspective to the disability community." The articles in this special edition appear in Disability and Health Journal, The Official Journal of the American Association on Health and Disability, Volume 3, Issue 1 (January 2010) entitled A Disability Perspective on the Issue of Physician-Assisted Suicide, published by Elsevier. The entire issue is publicly available online via open access at: www.disabilityandhealthjnl.com. Sir, Lord Joffe seems to be suggesting that the Director of Public Prosecutions (DPP) should disregard the views of people with religious beliefs who respond to his consultation on assisted suicide. It seems that the euthanasia lobby, which Lord Joffe represents, is now suggesting that if you belong to a faith community, your views should be of less account than those of others. I trust that the DPP will disregard Lord Joffe and give proper consideration to the views of all British citizens. To appeal solely to opinion polls sponsored by campaigning groups is overly simplistic. Assisting suicide is a serious matter and legalisation is a complex question that does not lend itself to simple yes/no questions. This issue is far more about public safety than personal faith. Lord Joffe has been in the House of Lords on every occasion in the past six years when proposals to change the law have been debated and will have seen that most of those who spoke and voted against changing the law were not arguing from a faith basis but from a concern that such proposals were simply dangerous for the population at large and particularly for the sick, the disabled and other vulnerable people. It is disingenuous to imply that most opposition to his proposals is faith-based. He should instead be addressing the serious charge that his so-called proposed safeguards are illusory. DPP has attempted to meet the near-impossible remit given to him without inadvertently encouraging the belief that in some circumstances assisting suicide can be done with impunity. But I am sure it will come as no surprise to him to hear that many people see his interim guidelines falling short of this objective and in need of revision. That the euthanasia lobby sees them as a “breakthrough” tells us as much about their real agenda as it does about the well-publicised deficiencies of the guidelines themselves. Saunders is correct. People with disabilities understand all too well that opposing assisted suicide is based on their personal safety. Contact us to buy tickets - $20 per person. 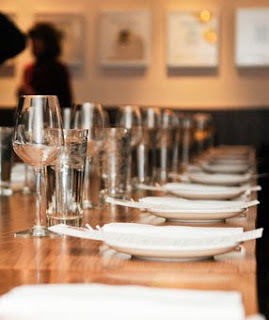 Bar will open at 6PM, social networking time. Speaker Alex Schadenberg, executive director of the Euthanasia Prevention Coalition will speak about how we must move forward in the future. Door prizes will be available. I have avoided writing about Robert Latimer, simply because his case is being dealt with by the parole board. Corrections had recommended that Latimer be allowed to leave from Dec. 24 to Jan. 7, but the actual dates the board agreed to have been removed from the final report. It's not the first time Latimer, who is serving a life sentence for the second-degree murder of his disabled daughter, has been granted extended leave. The board says there weren't any concerns until October, (2009) when he returned to his apartment after an extended leave instead of the halfway house. A warrant was issued and Latimer was taken into custody - although the warrant was later cancelled when he explained that he had made a mistake. The boards says it's troubling that Latimer wasn't more diligent in understanding the terms of his leave, especially since he already gets privileges "well beyond the norm for other offenders." Latimer gets five consecutive days extended leave per month. Robert Latimer should be treated in the same manner as any other person who is on parole for Second Degree Murder. He does not deserve special priviledges. Tracy Latimer, the daughter that he killed in 1993, deserved to be treated with equality. 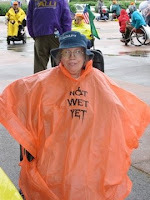 Her disability should not be treated as a mitigating factor. Robert Latimer killed his daughter. To suggest that her disability is a mitigating factor creates an inequality in our justice system providing less protection for people with disabilities. 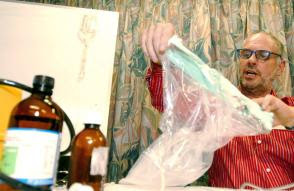 Is Philip Nitschke - Dr. Death coming to Washington State? A media release by Exit International yesterday, slammed the Australian government for announcing that it plans to have mandatory internet filtering systems in Australia. The Australian government has been concerned about how Exit International has skirted the law by providing suicide information, but by also using modern technology to counsel suicide. Nitschke claims that the "Clean Feed" is the final nail in the coffin for promoting assisted suicide in Australia. Nitschke then explains that the Australian government amended the Customs Act in 2001 to make it illegal to import printed material that promoted assisted suicide. In 2006 the Australian government introduced the Suicide Related Materials Offences Act which prevented counseling suicide by telephone, fax, email or internet. In 2007 the Australian office of Film and Literature had there decision to allow the distribution of the Peaceful Pill Handbook overturned. When you consider that Nitschke has had his activities completely limited by the Australian government, it should not surprise us that he has set-up offices in Bellingham - Washington State. Bellingham is a border town, giving him easy access to Canada. All accounts indicate that Nitschke may soon set-up shop in Washington State and regularly go effect the political scene in Canada. A letter in the London Timesonline by Edward Davies in the UK got the issue correct. Davies is commenting on Lord Joffe's statement that being opposed to assisted suicide is based on faith. Since Lord Joffe is unable to defend his position, instead he attempts to claim that the issue is religious rather than debate the issue for what it really is: A public safety issue. Sir, Lord Joffe broadly paints the assisted dying debate as one of faith: those with a faith are anti-assisted dying, those without a faith are pro, give or take a few at the margins (“Most opponents of assisted suicide are in a minority driven by faith”, Thunderer, Dec 16). It is not a Catholic foundation that has driven the British Medical Association to oppose assisted dying, as mentioned in your report (“MPs back doctors’ right to help their patients die”, Dec 16). The Royal College of General Practitioners does not oppose a change in the law because of fundamental Islamic beliefs. And the Royal College of Nursing did not move to a neutral position earlier this year on account of a crisis of faith. Assisted dying is a patient safety issue, not a religious one. I find it staggeringly naive and deeply worrying that the peer at the very heart of this debate could write an article that does not even acknowledge this, choosing instead to focus on people “encouraged by their religious leaders”. Is this the level of debate on which laws are now made? Mark Mostert has written an interesting blog comment about the fact that the Dutch are considering allowing euthanasia of newborns based on possible future pain. The article admits that infants with disabilities have been dying by euthanasia because of possible future pain since the enception of the Groningen Protocol. I have written about this issue in the past and an article in the Hastings Center Report (Jan-Feb 2008) admitted to the fact that this practise was already happening. Remember, the Dutch tend to go ahead and push the boundaries, and then they later decide to legalise the existing practise under the guise of regulation. And they say that there is no slippery slope in the Netherlands! That is only because they are already at the bottom of the slope. New group misrepresenting Canada's euthanasia law. Since when was voluntary euthanasia legal in Canada. Euthanasia is to directly and intentionally take the life of a person for reasons of mercy. It is prosecuted under section 222 (homicide) of the criminal code. Voluntary euthanasia is when one person directly and intentionally takes the life of another person, to alleviate suffering, only after the clear informed and competent request by the person who died. It is not euthanasia to withdraw, withhold or refuse life-sustaining medical treatment. When life-sustaining medical treatment is withdrawn or refused, if the person dies, the death is the result of the medical condition. That is clearly not euthanasia. If you give me a lethal injection (euthanasia) I die from a direct and intentional lethal dose. If is not euthanasia to properly use large doses of analgesics (morphine) to kill pain. When large doses of analgesics are properly used to kill pain, it may (unlikely) result in death. The death would be unintentional. When you give a lethal injection (euthanasia). The person dies from a direct and intentional lethal dose. Physicians may abuse the use of morphine by intentionally and directly causing the death of a person. 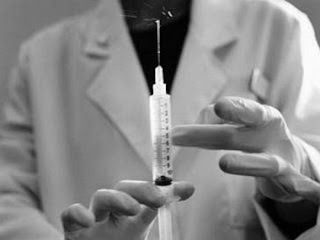 It is euthanasia when the physician unnecessarily abuses morphine with the intention of causing the death of the person. It is particularly concerning while the Canadian parliament is debating Bill C-384, the bill that would legalise euthanasia and assisted suicide in Canada, that a new group would become established based on false information. If there is nothing wrong with euthanasia or assisted suicide, why does the Dignity in Death group need to lie about Canadian law and why does Dignity in Death not have an address or identify the leaders of the group? Dignity in Death seems to be following the example of other suicide promotion sites/groups who misrepresent the law to deliberately create confusion. Canadians deserve truth not propaganda. Anthropologist and lawyer Anne-Marie The recently published a new study on euthanasia in the Netherlands casts doubt on whether people actually choose euthanasia? Anne-Marie The asks the question - Do the wishes of the patient always trump those of the doctor? An article published in the NRC Handelsblad explains the concerns of Anne-Marie The by this anecdote. The doctor and the patient had agreed to meet on a Friday at 2 PM. When the doctor rang the doorbell the patient was watching the Wimbleton tennis tournament on TV. Did the doctor mind if he finished watching the match first? The researched the 2331 cases of euthanasia in the Netherlands last year by speaking to doctors, medical specialists, lawyers, ethicists and politicians about how the (2001) Dutch euthanasia law came to be and the application of the law. Remember, that when we refer to the 2331 cases of euthanasia in the Netherlands in 2008, that number does not include the approximately 550 death without consent and the approximately 400 cases of assisted suicide. "There is the euthanasia law and then there is the euthanasia reality. To think that we have neatly arranged everything by adopting the euthanasia law is an illusion. Reality is more complicated than that: every patient, every situation and every doctor is different." The Dutch euthanasia law didn't legalise euthanasia, but it allows a medical review board to suspend prosecution of doctors who perform it under certain circumstances. This means that the law actually gave physicians the right to directly and intentionally cause the death of a patient, it did not give patients the right to euthanasia. Anne Marie The found that the reality of the law does not always follow procedure. She interviewed one doctor who told her of a case where the patient had requested euthanasia but since it was a Friday afternoon there wasn't another physician who could give a second opinion. The doctor said that he did it anyway. "In the end it all comes down to people, one doctor will bring it up himself, another will avoid the subject as long as he or she can. When it does come up it is up to the doctor to figure out what the patient really wants. In the end he (the doctor) has to 'feel' if euthanasia is the right solution"
"by adopting the euthanasia law the Netherlands went the other way. Euthanasia came first, palliative care came afterwards." Els Borst, the health minister at the time the euthanasia law was adopted and a doctor herself, told Anne-Marie The that she thought it was wrong to put euthanasia before palliative care. She was not alone in thinking so. Among the general practitioners, who are on the front line of euthanasia, a reluctance against the practise has begun to take root. One of them was Amsterdam general practitioner Joke Groen-Evers, a long-time supporter of euthanasia. Groen-Evers changed her mind after 2001 and began to advise patients and colleagues against euthanasia. She hoped good palliative care would make euthanasia obsolete. Groen-Evers told Anne-Marie The that she offers "a set of alternative tools." When a patient brings up the subject, Groen-Evers enquires what it is he or she is afraid of. Is it fear of dying alone in the middle of the night? If so, she will try to find a solution. Groen-Evers also calls the patient herself and she regularly visits her patients. In most of her cases the request for euthanasia is never made. Anne-Marie The agreed with the criticism that the United Nations made against the Dutch euthanasia law. The United Nations has stated that checks and balances should be in place before the death and not after the death. The Netherlands mandates that a report be filed after the person has died. In Oregon and Washington States reports are filed by the physician who prescribed the lethal dose, after the death of the person. I have two questions: how can any vulnerable person be protected by after-the-fact reporting? and - Since the reporting is done by the physician who prescribes the lethal dose, therefore is the physician going to self-report an assisted suicide of a person who does not qualify under the law? "They have a point there. When the independent commission ... reviews a case the patient is already dead. But doing it (the review) before the fact makes the procedure much more complicated. It is time-consuming when time is of the essence. And there is a good chance that doctors will hide complicated cases from the commission. They already do that when there are questions about mental competence, or in the case of children, demented or otherwise handicapped patients. The law is still pretty vague about that." "I understand why people want euthanasia, but I don't share that wish myself. Perhaps it is because I have seen so many people die, at the hospital and nursing home where I worked, but also my own grandmother, who was a cancer patient. For her, dying was part of life. On her death bed she simply embraced it. I thought it was quite beautiful that as a child I was allowed to sleep next to her and help her get cleaned up. She was unconscious for three days. When she started retching the doctor gave her a bit of morphine. the next morning she had slipped away. That's the way I would wish to go too." First: Do the wishes of the patient always trump those of the doctor? Second: There is the euthanasia law and then there is the euthanasia reality. Third: the reality of the law does not always follow procedure. Fourth: other countries are much more advanced in palliative care than the Netherlands. Fifth: Els Borst, the health minister at the time the euthanasia law was adopted thought it was wrong to put euthanasia before palliative care. Sixth: The United Nations has stated that checks and balances should be in place before the death and not after the death. Seventh: And there is a good chance that doctors will hide complicated cases from the commission. They already do that when there are questions about mental competence, or in the case of children, demented or otherwise handicapped patients. Once again, when we uncover the truth about euthanasia in the Netherlands we learn that it is out-of-control. Further, when people suggest that vulnerable people are not threatened by euthanasia in the Netherlands they are not taking the reality that the euthanasia deaths of people who lack mental competency, disabled newborns and other people with disabilities are under-reported in order to avoid scrutiny. Vancouver man found guilty of aiding suicide. Paul Adrian Fraser (21) was found guilty of aiding the suicide death of Robbie Milot (19) who shot himself to death on Easter Sunday in North Vancouver. Fraser traded Milot, a personal friend, his shotgun in return for a BMW, knowing that Milot intended to use the shotgun to commit suicide. Michael Murphy, a roommate of Fraser, and a childhood friend of Milot was a key witness for the Crown. Fraser wanted to call off the deal when he saw that the BMW was an SUV and not a sports car. Milot broke down and cried and asked Fraser to just take the vehicle and he requested that he be taken into the forest and killed. Fraser agreed to take the vehicle, but then Milot was upset that the weapon was a shotgun instead of a handgun. Fraser told Milot that he could kill himself with the shotgun. Fraser hugged Milot and said to him, see you on the other side, I love you man' and then left the scene with Murphy. After a week-long trial, the jury found Fraser guilty of aiding the suicide of Milot and possessing a stolen vehicle. Fraser was also found guilty of assault causing bodily harm in an action Fraser took against Murphy. The charge of possessing a weapon for a dangerous purpose was stayed. Prosecutor Phillip Sebellin said outside the court that he would be seeking a jail term against Fraser in addition to the time he has already served. The maximum penalty for aiding a sucide is 14 years in jail. Daniel Markovitz, the lawyer for Fraser stated: "I expected a different result." 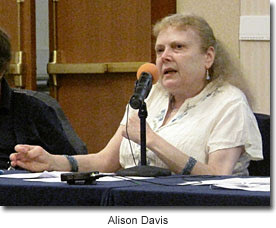 Alison Davis, the leader of the disability rights group, No Less Human, has launched a legal challenge to the prosecution guidelines concerning assisted suicide in the UK. 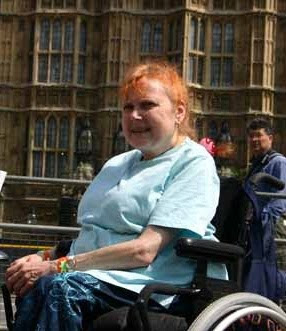 Davis, a woman with multiple disabilities, stated that the legal ruling, that forced the Director of Public Prosecutions to weaken the prosecution guidelines concerning assisted suicide in the UK, was unsound and based on a bias. Davis alleges that Lord Philips of Worth Matravers, now the Supreme Court's President, later expressed strong personal views on the subject of assisted suicide in an interview with the Daily Telegraph. "I have enormous sympathy with anyone who finds themselves facing a quite hideous termination of their life as a result of one of these horrible diseases, in deciding they would prefer to end their life more swiftly and avoid the death as well as avoiding the pain and distress that might cause their relatives." Davis's legal challenge alleges that the ruling related to the Diane Purdy case was "vitiated by the principle of bias", and therefore "the decision of the former House of Lords is 'unconstitutional' and usurps the powers of Parliament." The legal challenge also calls for "a full Supreme Court to be convened to reconsider and hear fresh arguments on the Purdy case." In a letter to Keir Starmer, the Director of Public Prosecutions,Davis wrote that: "The guidelines are unfair, unjust, and fatally discriminatory against suffering people, who deserve the same presumption in favour of life as any able bodied person would automatically receive. They (the prosecution guidelines) have no place in a civilised society." Andrea Williams, the lawyer for Davis, stated: "Disabled people have always had the protection of the law and disabled people are now appealing to the highest court in the land in an attempt to retain this protection." Peter Saunders, the Director of the Care Not Killing Alliance added: "The Law Lords' decision in July, overturned earlier Judgements in the High Court and the Court of Appeal, was an unusual one to say the least - that those contemplating breaking the criminal law in this area should be advised how far they might go without risking prosecution." Saunders also stated that: "the prosecution guidelines ... and in particular their suggestion that helping a severely disabled person to commit suicide might be regarded more leniently than helping someone else to kill themselves - we are not surprised to hear that the Law Lords' decision is now being questioned." "It is not difficult to see why people with disabilities and seriously ill people should now perceive that they are not to be afforded the same protection that the law gives to the rest of us." said Saunders. The spokesperson for Lord Philips stated: "Lord Philips has not called for a change in the law. He simply expressed sympathy with anyone considering ending their life because they had a terminal illness. He made it clear that this was his personal view." The Prosecution Guidelines for assisted suicide in the UK must be revoked.